Back in 2010, James Kuffner, coined the term “cloud robotics” while working at Google. Since then years have gone by and Google has since tested various cloud robotics efforts, and is going full-bore in 2019 with the launch of the Google Cloud Robotics Platform for developers. Details of the much awaited launch are somewhat scarce at the moment but industry honchos say that the timing is right for the launch, thanks to the maturing of both the robotics market and Google Cloud products. The market is live with discussions like Robotics and the Cloud (RaaS) are like peanut butter and jelly, making the awaited integration more exciting. 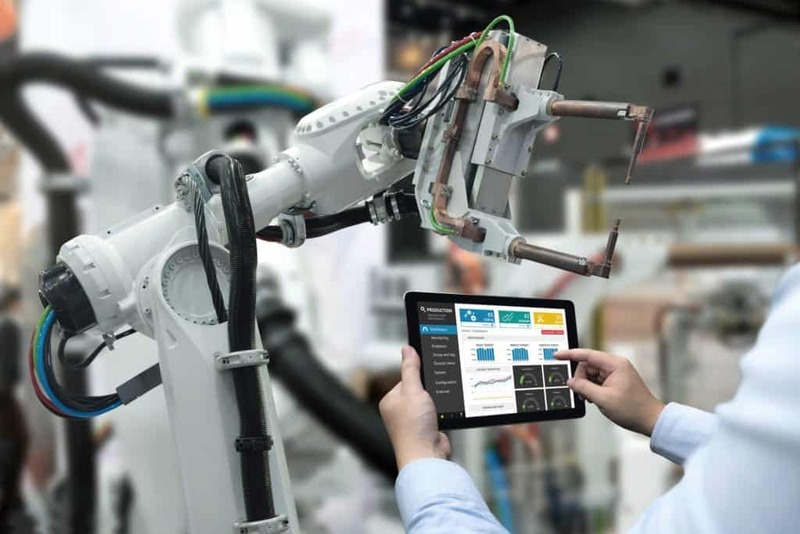 According to the Google Cloud Robotics Platform website, the platform combines AI, the cloud and robotics to enable an open ecosystem of automation solutions that deploy cloud-connected collaborative robots. Google’s AI and ML services will foresee the unpredictable physical world and enable efficient robotic automation in highly dynamic environments. Come 2019, and the launch of Google Cloud Robotics Platform will enable developers to have access to all of Google’s AI and data management capabilities, from Cloud AutoML to Cloud Bigtable, which currently includes the beta versions of Natural Language, and Vision processing and AutoML Translations. Google aims that the object intelligence service will pose detection which can be used for grasping automated inventory and provide low-latency object recognition. The Google Cloud Robotics Platform will additionally use the Google Cartographer, which provides mapping (SLAM) in 2D and 3D and real-time simultaneous localization. Cartographer will continuously process sensor data coming from multiple sources and give access to robots to localize in shared maps. Even if the environment changes over time, its spatial intelligence services will analyse workspaces and will be programmed to handle query, react to changes in the environment and track changes. In a world where technology is fast evolving, data privacy issues are a big concern. Google has added that its customers will fully own their data, which will always be encrypted on its platform. Customers can take their data with them wherever they go, if they have a change in their plans and business processes. The Google platform will cover foundational needs, and would include robust and secure connectivity between cloud and the robots. Users accessing the Google Platform will have an option to distribute and manage these digital assets with an open-source container-orchestration system Kubernetes, and can further deploy Stackdriver to monitor, data logging alerting, and dash-boarding operations. • Access to updated libraries of images, maps, and object/product data for Big Data integration. • Access to parallel grid computing on demand for learning, statistical analysis and motion planning to ease cloud computing. • Robots and systems in power to control policies, outcomes, and sharing trajectories. • Use of crowdsourcing to tap human skills to analyse video and images, learning, classification and error recovery. The Cloud additionally can provide access to publications, datasets, models, simulation tools, benchmarks and open-source software. The timing of Google Cloud Robotics Platform may prove to be a coincidence, but robotics is making a comeback to tech giant Google which of late has been on a buying spree. In 2013 it acquired eight robotics companies, including Boston Dynamics, only to sell it to Softbank in 2017. Multiple reports have indicated that Google is developing a rival under the leadership of Ryan Hickman to match Amazon’s domestic robot under development. Google’s robotics efforts look hopeful this time around, but things will not be easy, especially when it comes striking a winning cord over robotics developers. In 2018, at ROSCon Microsoft announced that it is working with the ROS Industrial Consortium (ROS-I) and Open Robotics to bring the Robot Operating System (ROS) to Windows 10. This move may prove to be an exhilarating opportunity for Microsoft to further expose its Azure cloud platform, and associated products, to a vast number of ROS developers worldwide. The release referred to as an experimental move at this point will go a long way since biggies like Open Robotics, Microsoft, and ROS-I are committed to making this work. With the advancement in robotic technologies, massive progress is witnessed in the progress of development tools. In the times to come, Robotics with artificial intelligence will be seen as the universally accessible technology to augment human abilities and this development will further bring the security and manageability of Windows 10 IoT Enterprise to the innovative ROS ecosystem. Microsoft’s interest on robotics developers has been seen since older times, with the launch of Microsoft Robotics Developer Studio (MRDS) in 2006. MRDS is a software and development package that was released about one year before Willow Garage announced ROS, an open-source, meta-operating system to build robot applications. However, MRDS never gained traction, and the last MRDS update was published in March 2012 with Microsoft’s robotics group officially getting shut down in 2014.